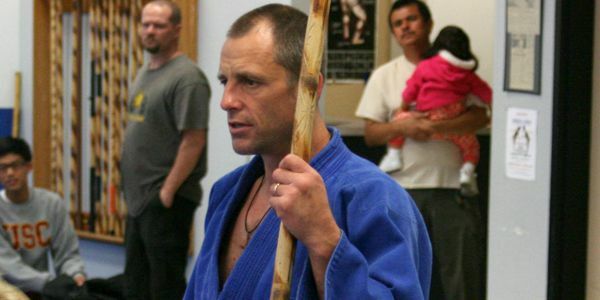 Born In Roseville, Dave Marinoble has dedicated his life to the Martial Arts. Since his humble beginnings of Shaolin Kung Fu taught by his Grandfather, Glen Richardson, Dave Marinoble has always loved the martial arts. 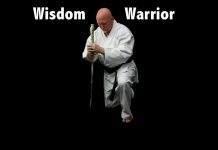 He has been involved in the art of Modern Bok Fu for over 20+ years, earning his 4th Degree Black Belt from Master James Kane. He has also earned his 3rd Degree Black Belt in Jujitsu, as awarded by Professor LL Cary. Mr. Marinoble was awarded his Black Sash in Wing Chun Kung Fu by Sifu, Eddie Chong, and studies Bak Mei Kung Fu and the Inosanto style of Escrima Stick Fighting. Dave Marinoble is a genuine family man. His wife Elizabeth and his three daughters, Adryana, Kristina, and Olivia, are a driving force in his life. Mr. Marinoble enjoys spending time with his family, whether it’s at home, at church, or on the soccer field. Dave Marinoble has always put his heart into his training, and the awards he has earned show. Not only has he earned many Black Belts; he has also earned numerous local, state, national, and international titles. Mr. Marinoble has represented the United States twice as a member of the United States Sport Jujitsu Team helping propel the US team into the top three in both competitions. Mr. Marinoble also won the Middle Weight Continuous Point Fighting title in 1999 at the USA International World Championships in Las Vegas, Nevada. Dave Marinoble is known in the kickboxing world as the “Mad Man.” Given the nickname because of his relentless style of fighting. He has refined himself into one of the sport’s well known fighters, and one of its best ambassadors. Since beginning to fight as an amateur in the early 1990’s, Dave Marinoble had one goal in mind, to be the Professional World Champion. He won the IKF United States Light Middleweight, Middleweight, and Super Middleweight titles along with the USAK Middleweight title before turning Professional. Since turning professional in 1998, Dave Marinoble has torn through the Middleweight division. He won his first professional title (IKF United States Middleweight Title) in a 10 round unanimous decision over Larry Jarrett of Florida. He won the IKF North American Middleweight title against Thomas Downing of Canada on December 17,1999, on his way to his ultimate goal, a World Title opportunity. Mr. Marinoble has since added the ISKA United States San Shou title in a rematch of his only professional loss against Rudi Ott of San Jose, CA. In July of 2000, Dave Marinoble stepped into the ring against Tommy “The Terminator” Kimber in Kuala Lumpur, Malaysia. After standing toe-to-toe for 7 rounds of back and forth action, Marinoble let loose with a vicious combination sending Kimber to the canvas, thus making himself the new IKF World Middleweight Champion. 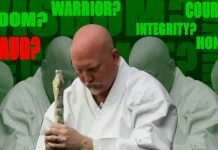 Dave Marinoble has trained in Shaolin Kung Fu, Kickboxing and has over 20+ years teaching Modern Bok Fu. 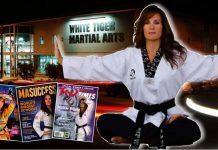 Bok Fu Do is a mixture of Kenpo Karate, White Tiger Kung Fu, Tae Kwon Do, Jujitsu, and Kickboxing.